Workshop: Cats & Wildlife: Can't We All Get Along? 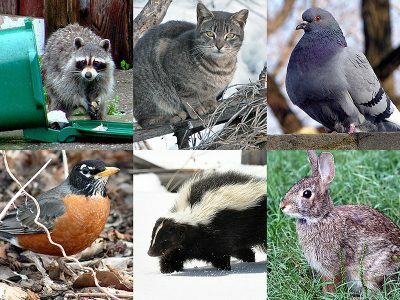 Cats & Wildlife: Can’t We All Get Along? Community cats are not considered wildlife, but they live amidst a large variety of wild animals and birds — even in the big city. Join us as local wildlife experts discuss the habits and behaviors of your cat colony’s wild neighbors, and offer tips on promoting harmonious coexistence with them.